In the late 1930s, Helen Dettweiler became the first woman to professionally announce baseball games on the radio. Let’s say it together. Helen who? You might think that such an achievement would live on in the annals of baseball and broadcasting history. But, it didn’t. In Episode 54, Out Of My Mind podcast host Jay Douglas tells Dettweiler’s story, and he names the breakfast cereal that was behind her career…such as it was. 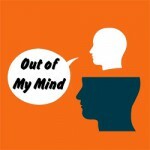 Read Jay’s blog post at The Out Of My Mind Blog. And don’t miss the Mind Doodle at the end of the post for a little-known story about televised baseball’s first commercial.